A few weeks ago I have a coloring service from Irwan Team Hair Design. I was lucky to experience the whole hair service offered by them. 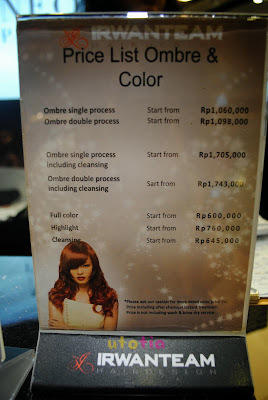 But the main highlight is the coloring service using INOA. As you can see my hair is naturally wavy and a bit thick (though it become thinner after I suffered from typhoid recently). 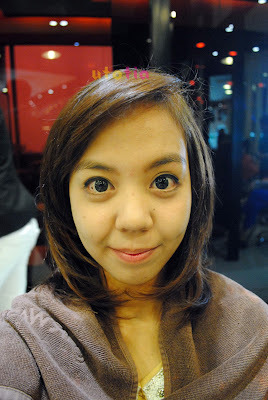 For the color, I still have my last ombre color on my lower hair part. And ends are very, very dry. I was hopeless with this condition to the point that I wanted to cut my hair short because it keeps falling and my hair just got thinner and crappier day by day. 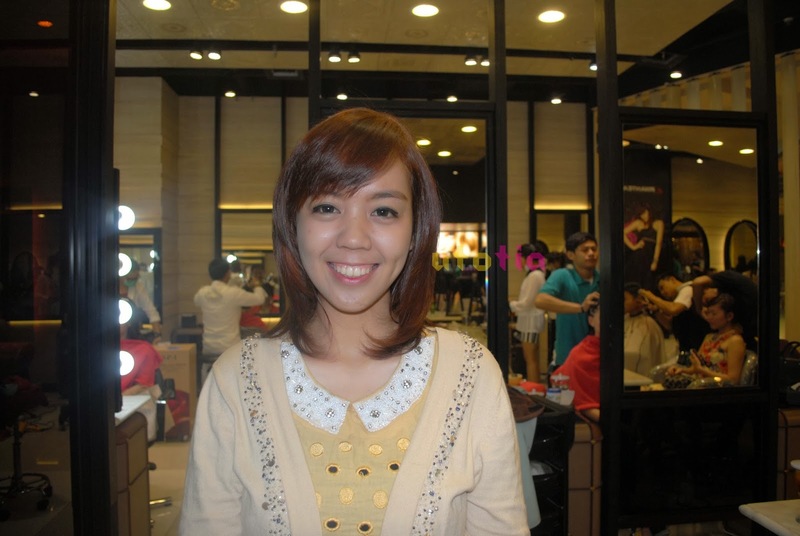 And I was luckily escorted by Mba Shendy, one of IRWAN TEAM hair stylist. She checked my hair first and did the color choice after brief consultation with me. We ended up choosing light brownish shade for the whole hair. The coloring process was simple and quite fast. 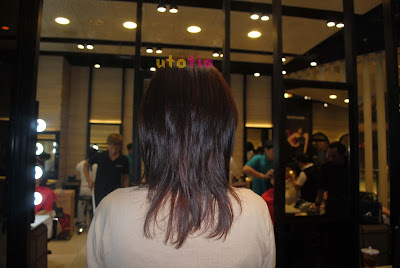 Since this INOA has gel texture instead of most coloring product (cream), so the colorist said that it doesn't need much product to achieve satisfying result. The highlight of INOA is it's AMMONIA-FREE. Which means that it has low risk of triggering irritation on our scalp and also less damage to our hair as well. After 2-3 recheck by mba Shendy then finally I proceed to the final washing. They also use INOA hair care shampoo and conditioner for this. After washing, then mba Shendy decided to cut my hair a bit just to get rid of those split and dried ends. Then second aka final blow dry was waiting for me. Hihi. 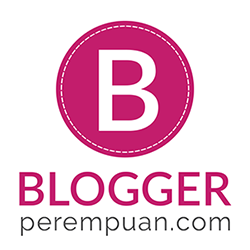 LALALA~ I'm so happy happy happy with the result. 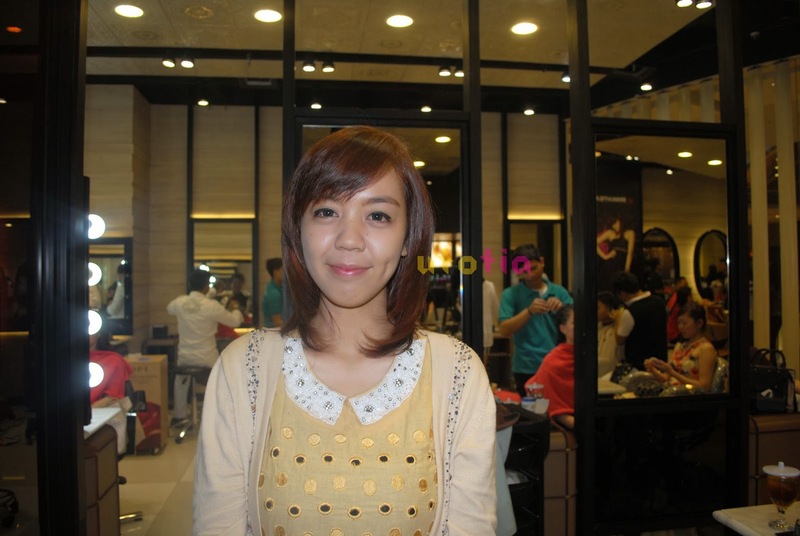 Oh, but not only the result, but also the whole process since the staffs and stylists at IRWAN TEAM HAIR DESIGN Grand Indonesia were very very friendly and helpful! As for the result, you can see that I am no longer having such unruly hair and uneven hair color. Now I have such a silky smooth, nice color hair. What amazes me the most is also the blow dry. Well, I believe it's already being well-known that we are advised not to wash our hair 3-4 days after the coloring process. So, I wasn't washed my hair 3 days after and you know what? My hair stays the same, I mean 3 days without washing, I can't imagine how oily my head will be. I will be a human oil-tanker. -____- But, my hair only got oily a bit, and the blow stays. Not that itchy that I still can handle it. After 3 days, I wash my hair and up until now, my hair color still looks good and one of a friend even said that my hair is so shiny and looks healthy to the level that it looks like a wig! LOLOLOLOL. Thank you so much IRWAN TEAM HAIR DESIGN for letting me experienced such a great services from wash, coloring, to cutting. All words and testimonial provided above are all true and based on my honest experience and opinion. I do recommend you to take care of your hair whether it's hair care or styling here at IRWAN TEAM. 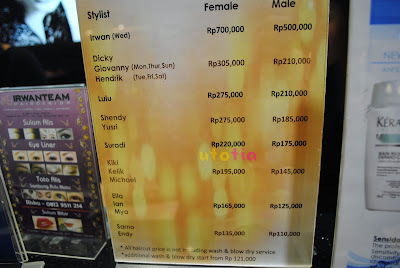 And just in case you'd like to know the price list, you can check the pics I took below. Bye bye and see you on my next post! pose with Shendy; my stylist that day! You can find several hair services in the market that can make your tresses to be more beautiful. Take time to check TerrificTresses.com for a wide selection of hair tips. eh tapi yg beforenya juga bagus sih ombrenya itu..
Hi sis.. bole tau pas itu abis brp coliring d irwan?